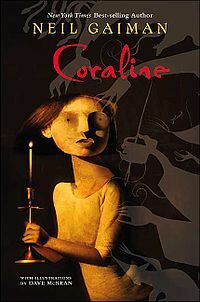 I just finished Coraline by Neil Gaiman and I thought it was an appropriately disturbing children’s book. I watched the movie this year during the Halloween season and since I really enjoyed it I wanted to read the book. So glad I did! Well worth the hour it took to read it. For those of you who haven’t read the book or seen the movie the story goes something like this: Coraline is a little girl who loves to explore and loves adventure. Her family has recently moved into a large old house that they share with other tenants. Upstairs in the attic lives an old man who used to belong to a circus and is now attempting to train his pet mice to dance and sing. Downstairs in the basement lives two actresses, well past their prime, who yearn for the old days. The second half of the main house remains mysteriously empty. Bottom line: When I have kids they will be reading this book . . . around Halloween for maximum effect. And onto the next . . . I am currently reading The Art of Racing in the Rain by Garth Stein.